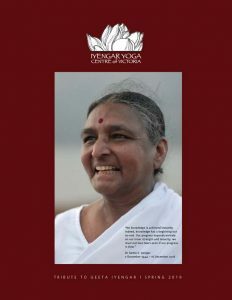 The Iyengar Yoga Centre Newsletter has been in publication for over thirty years. Its arrival is eagerly anticipated by knowledge seekers through out the world. 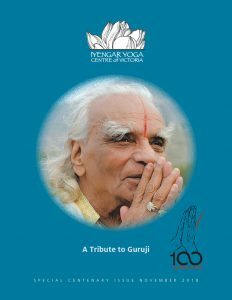 The newsletter provides a forum where both the novice and experienced Iyengar Yoga student can share relevant opinions and experiences. It encourages students to delve more deeply into the ancient teachings of yoga thereby helping readers to cope with and transcend the turmoil of modern life. If you are interested in subscribing to the Newsletter, pick one up at the Centre or fill out the membership form and become a member. We have included the latest issues of the newsletter for you to enjoy. To view please click on the issues listed here. Archive 1 – 1981-2003 coming soon!